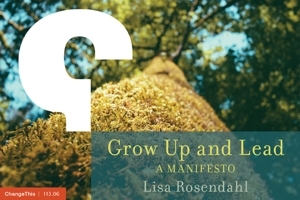 Lisa Rosendahl — I Do Believe in Fairies, I Do, I Do! If you haven't already surmised from previous posts, I work for VA. If you have read the papers, listened to the news or watched any of the news programs, you are aware that we are on the receiving end of some pretty bad press. I am not in a position to comment, nor if I was ,would this be the place to do it, but I do have an observation, a personal thought to share. I was working in the private sector making a whole lot more money before coming to the VA. When it was time for a change, I had a few opportunities to consider. What struck me most about the people I met here was their commitment, their passion, their all out dedication to serving veterans. It wasn't about money, about making a name for themselves, or anything else other than the veterans they served. I am so fortunate to work alongside those people each and every day and I am so very concerned about them too. The organization is stressed and it is a stress different than that generated by working short staffed, not having enough resources, or with too many impossible suspenses. It is a different stress that, subsequently, is affecting staff differently. It is taking a very different mental and emotional toll and the impact of which, well, is causing their lights to dim. I don't know how else to say it. It just is. Their lights are not shining as bright as they were and that is not right. My daughter was watching Peter Pan last night (another case of my life intersecting my work) and when I walked in Peter Pan was down, Captain Hook was about to claim victory and Tinker Belle's light was fading fast. What did it take to turn it all around - a belief. I am sure you can remember if first starting out with one voice and the quickly spreading, "I do believe in fairies, I do, I do" and before long, Tink's light was on, Peter Pan was flying and Captain Hook, well he went to the sea monster down below. So, to staff, from me to you, "I do believe in faries, I do, I do" and I believe in you too.